Bits: “AmEx Seeks to Weed Out Credit-Card Churners Chasing Rewards”, Marriott credit card returning? Bloomberg ran this headline last week. The good news is that it focuses on the US market and not the UK market although presumably the sentiment is a global one. 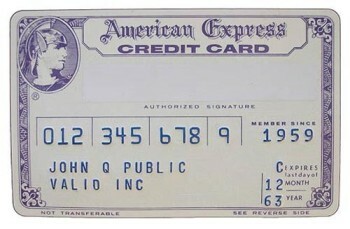 The odd thing, though, is that American Express in the US has ALREADY done this and I’m not sure what else they can do. In the US, sign-up bonuses on American Express cards are now strictly enforced as one bonus per card per lifetime. And they stick to it. An increase in incentive bonuses has boosted so-called gaming by credit-card applicants looking for a quick reward, Doug Buckminster, president of global consumer services, said Wednesday at the firm’s investor day in New York. AmEx is using analytics to identify and “suppress” gamers, while creating offers that incentivize long-term loyalty, the company said. … don’t really make sense. The only thing Amex can do to encourage “the right sort of customer” is to cut sign-up bonuses, and it can’t do this because it is being trounced by the Chase Sapphire Reserve product in the market for premium customers. “The right sort of customer”, of course, is someone who doesn’t care or realise that they aren’t getting decent value for the membership fee they are paying. Increasing the membership fee for Amex Platinum in the US to $550 from $450 – and offsetting this with some Uber credit – is apparently the way to go. American Express was battered last year after parting ways with its biggest co-brand partner, Costco Wholesale Corp., which accounted for 10 percent of AmEx cards in circulation. The lender also broke ties with Fidelity Investments. The firm trades for less than its 2014 closing price and slipped 0.7 percent to $79.04 Wednesday in New York. There is still no word on whether Marriott will break the long-standing deal between Amex and Starwood following its takeover . Back when I started in this hobby, the US version of the Starwood Amex was THE best card to hold and there must be a lot of high spending legacy customers at risk. Is the Marriott Rewards MasterCard returning soon? The Marriott Rewards MasterCard, issued by Creation, has been unavailable to new applicants for over a year. This is believed to be because Marriott does not have an FCA credit broking licence. You can check this on the FCA website. Ironically, I have a licence – Marriott didn’t need to withdraw the card, they could have let me be the exclusive promoter in the UK instead! As it would be a bit odd to redesign a card which is unavailable – although obviously they are replacing existing cards as they reach expiry – this offers a glimmer of hope that the card may reappear at some point. Note that there isn’t a ‘contactless’ logo there, which is my main problem with the current Marriott card and the main reason I have it linked to my contactless Curve Card. 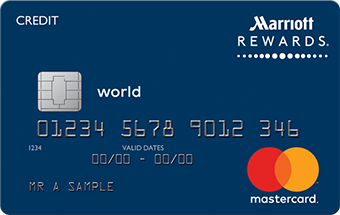 It isn’t the most generous card in the world at 1 Marriott Rewards point per £1 but it is free to apply, it gets you Marriott Rewards Silver status and you get an ANNUAL loyalty bonus of 2,000 points just for keeping it. Can my Dad (who is a gold card holder) use the pay 2x avios for any flight availability option open to gold card holders to buy a ticket for me, or does he have to travel on the flight as well? I’m fairly certain he can book you a flight. If he is part of a household account however I think you have to either be part of that or on his friends and family list. If he isn’t part of a household account I think there are no problems at all. I have never done this myself as I’m not BA Gold, but IIRC someone asked a similar question last week. The loyalty schemes that work for me are ihg and hotels.com. I avios a lot but they don’t do anything to keep me loyal – I just use them when that is the most sensible option. On the other hand i will always look to stay at ihg hotels even where others are cheaper, and if I don’t use ihg I am almost certainly booking via hotels.com. I don’t even bother with other sites because even if I send up spending more with ihg or hotels. Com I know I will get something back via the loyalty schemes and that’s enough for me. That’s pretty much what I do re IHG and Hotels.com. I’ve been “having a fling” with Hilton since I got Diamond in a status match – if Spire offered similar status benefits I’d be totally loyal to IHG. I’ve got a pile of Avios I hardly use – working towards 2nd 241 which I’m not excited about. When I first got into this game I was very excited about it, now I just want a basic strategy which ticks over. Fair play to the Lego, Laithwaites, ink cartridges mob but it’s not for me. If you say so. My point is I don’t actively chase avios. I also won’t turn them down either – I read the Sunday Times Travel Magazine anyway so I took that offer. It’s not a criticism. Don’t stick to just one company. Diversify! Not sure of targeted or not. OT – flew UC for first time after Air Canada Business. Both first time I am normally OW. Initial thoughts are UC not much privacy – i was K. Low level seat backs so you can see everyone (less privacy) not to mention a bunch of feet in G in view. also not great if the person behind has been in his shoes all day. Also no room to put anything around seat. Air canada was v good in comparison. Lots of storage room, bigger IfE screen. Just done the same. I have to agree – I don’t think this configuration works save for having a very “sociable” flight or gaining aisle access. The flight to JNB was in party mood. I liked the dining at your partner’s seat option and thought staff were decent. Otherwise, I felt the screen was too small (these days) and the seat exceedingly claustrophobic. The CH food on order was borderline low grade chain hotel level. I liked the massage offer though. CW is a better seat if you can select the right one. E.g upper deck on the 747 was very pleasant. To be fair, the Clubhouse meal I had in Heathrow last year was outstandingly good. Agree with the claustraphobic seat. I am doing an overnight UC from New York in a few months which will be first attempt at sleeping in it. I recently got an email from Creation offering me 3x points for spending for a month as I haven’t used the card in over a year. Does it worth to switch to a US Marriott Credit Card? Assuming the annual spend on the card is the same and for the sake of the argument its $1000 a year and my Marriott stays are mostly out of the US/UK, which is the better card to associate with the Marriott Rewards account the UK or the US card? I’m a holder of the Creation MR card and my MR account is a UK-based. I’m currently working between the US and the UK and got addresses in both sides of the Atlantic. It would be a no brainer to opt for the US card but the UK one got the 10-night annual credit which I see of a value of at least $100 (min cost for holding a meeting and earning 10night credit). Do you have a US SSN and credit file that would allow you to apply for it? I don’t know about the Marriott card in particular, but in general if you were able to apply for US cards there are a lot of very nice sign-up deals available!